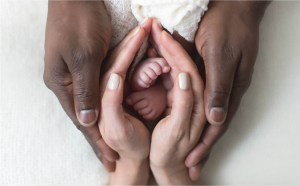 The Lola Melani Fund, which supports mothers and expecting mothers, caregivers, and their families who have experienced challenges or trauma and helps them reclaim their inner strength and courage by rebuilding their confidence. I am driven from the joy of seeing my clients feeling beautiful in their skin. There is something so alluring about seeing a photograph of a woman brimming with confidence and self-love; it jumps from the screen, or print, or whatever medium it is and tells a unique story. Photography immortalizes these beautiful moments. My goal as a photographer is to create a environment where the client feels comfortable, relaxed, beautiful, pampered and empowered from the moment she enters the studio. The result is increased confidence and self-love. It’s a personal experience for both of us and it is of utmost importance to me that my client feels comfortable in my studio. I immigrated from Russia at age 13 to the U.S. to pursue a better education and fulfill my dreams. Studying business in school and taking an office job helped me realize quickly this wasn’t right for me. I wasn’t happy. Photography had been my hobby and I spent all my spare time learning and exploring it. At that time, I had no idea it could turn into a career. Staying true to what I loved doing and setting purposeful intention helped me live the dream.. Also, pushing myself to be an absolute perfectionist in my work with determination, being obsessed about my craft, constantly striving to better myself, and a thirst for self-growth and development. What emerging trends do you see in the non-profit space that women entering the workforce – or looking to return – can dial into? I’ve seen a huge trend of younger generations wanting to have a voice and affect change, which I think is incredible. This generational shift will cause non-profits to reevaluate their work culture. There’s such a huge opportunity for young women today to get involved early in their causes and work together as a community. Do your research, find a cause that resonates with you and get involved! This is not only for the non-profit ecosystem but also for everyday work. Millennials are huge influencers, and they want to work for companies that give back and have a social mission. This will hopefully lead to for profit corporations to re-evaluate everything about their company structure. When you first start a business, the biggest hurdle is learning to deal with the unknown. Not having a clear, demarcated path can be really nerve wracking sometimes! It’s intimidating to grasp the idea of entrepreneurship and navigating through it, but it’s also the most rewarding. Being my own boss has been a rollercoaster ride, but I wouldn’t trade a minute of it for anything else. The experience has truly been incredible. Of course, there have certainly been times of breakdowns and disappointments, especially in the beginning, but those moments just made me stronger and has helped me to get to where I am today. Being a business woman and trying to always better myself as an artist – it’s often difficult to find more time for my personal life. I’ve learned firsthand how important it is to have good mental health in order to continue carrying on a successful business. I’ve spent significant time working on the right balance for me. I take the time to schedule my personal tasks along with my work schedule and purposely put aside time to take a break and recharge. It’s essential to take time for yourself and enjoy life; this is what it’s all about in the end. I’ve created The Lola Melani Fund to support mothers and expecting mothers, caregivers, and their families who have experienced challenges or trauma reclaim their inner strength and courage by rebuilding their confidence. By supporting The Lola Melani Fund, you will directly impact worldwide organizations which we raise funds for and work closely with in an incredible cross-collaborative way. Often, I photograph caregivers with their families to raise awareness for causes that I believe desperately need our global attention. Stay true to yourself and not to be scared of what you don’t know. There will be people who will offer you their opinions regardless of whether you ask for it. You can choose what to do with it. I taught myself my craft, and I continue to progress in my career by learning new things. In creating workshops and sharing what I know, I can offer mentorships to women who want to learn about photography and practice something I love while also contributing to society in an impactful way. Women should lift each other up and support each other to succeed. We are stronger together!